Take a dip in the pool, or why not book a cozy SPA evening togheter with your friends. You will get 2½ hours of hot tub under the open sky, and the relax facility to yourself. 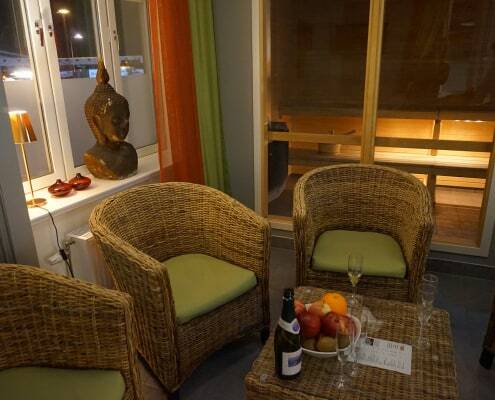 In the hotel area you also can book massage and treatment at Carma Spa Visby. 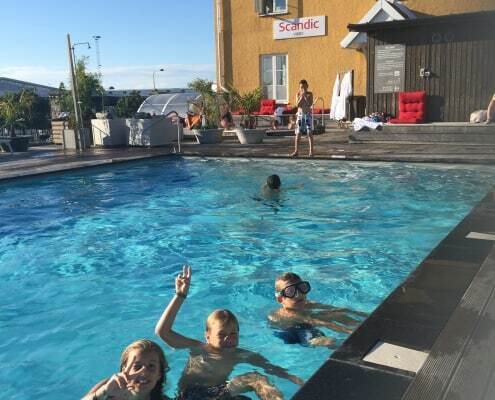 Scandic Visby’s swimming pools are open for guests to the hotel and the restaurant. 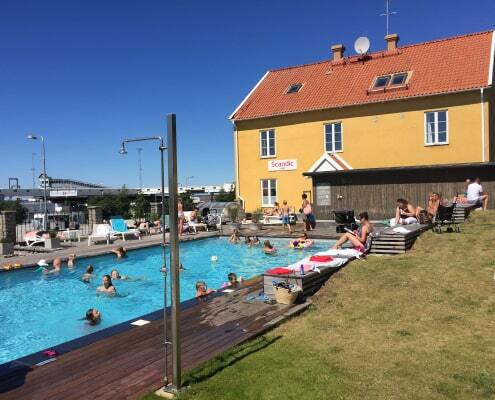 Staying at the hotel you have free access to pools, gym and relaxation with sauna. 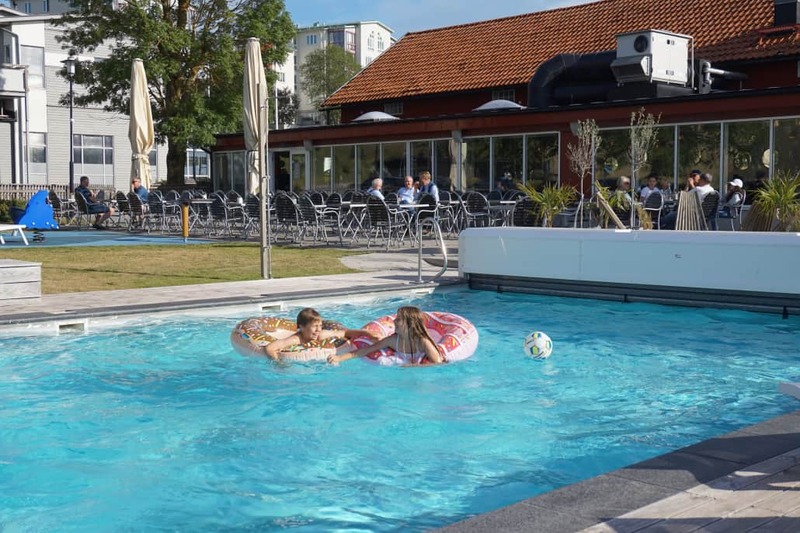 If you are visiting the restaurant you will be able to swim free of charge in June and from mid August until the outdoor pool closes in September. 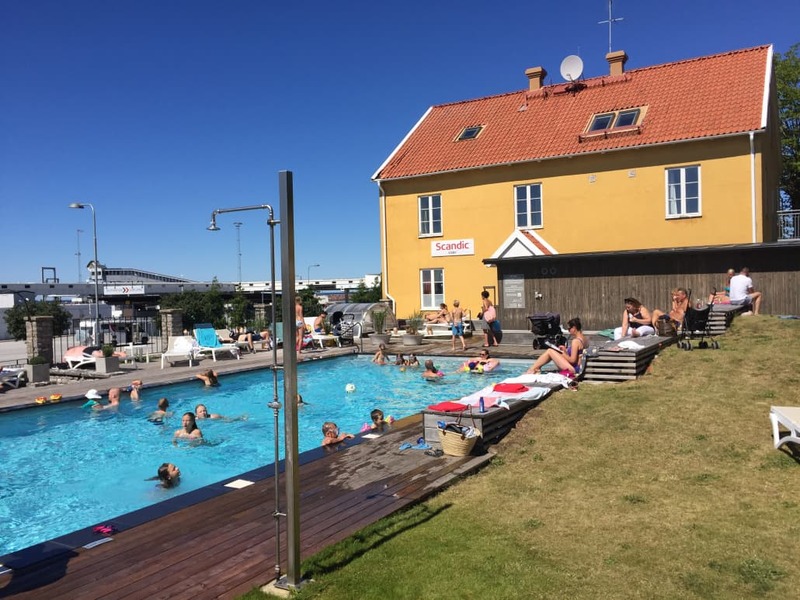 During high season v. 28-32 when the hotel is fully booked and the pressure is high at the pool, it costs 50 SEK / person to swim (if you do not stay at the hotel). 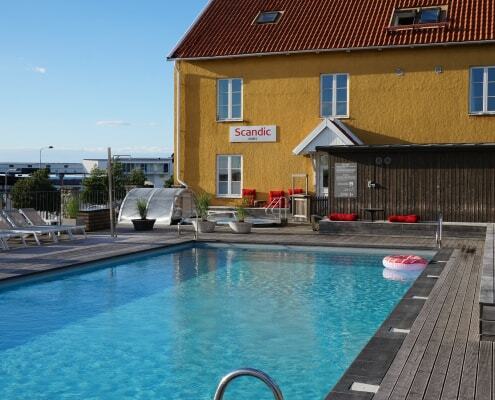 Would you like to come and swim and have access to relax with changing room, shower and sauna, you pay 95 SEK / person. 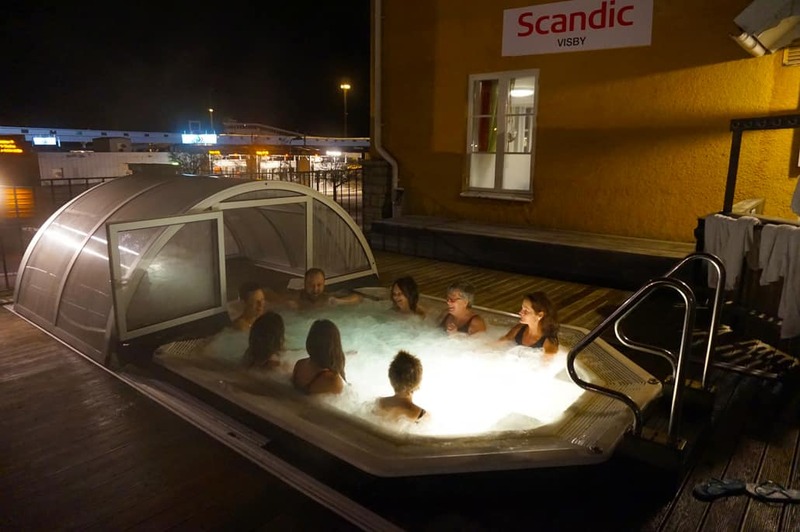 The hotel’s whirlpool is open all year long. 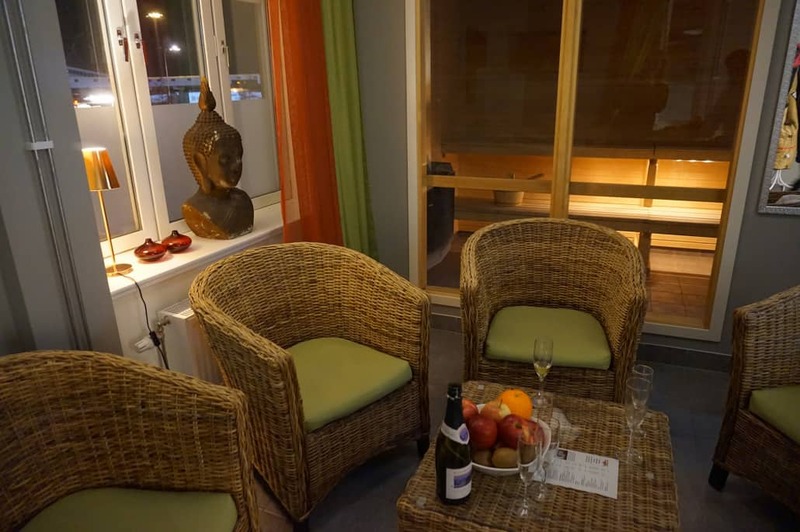 The fee is paid at the reception, where you receive a key card for the relaxation. In wintertime, we open the bubble bath upon request. 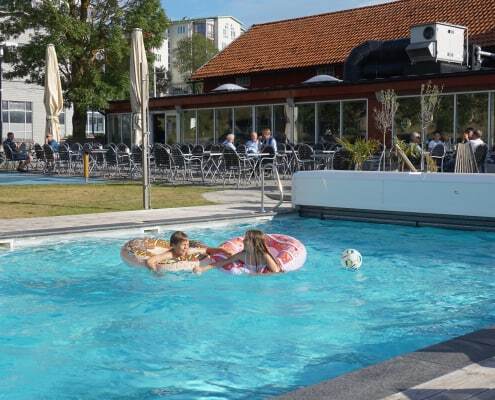 Please note that you need to say about bathing at least 1 hour in advance so that the wirhl pool can be heated up. As a guest, there are gray pool towels to borrow at the reception, the relax and the outdoor bar. The pool towels should be used in the pool area, not the towels in the rooms. If you have forgotten to bring your own swimwear, you can buy or rent some at the reception. Sunscreen and arm puffs can also be bought there. In our summer bar you can shop for lunch and refreshments. 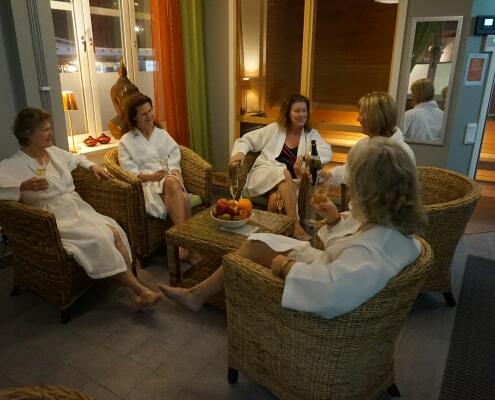 Book a cozy SPA evening together with your friends. 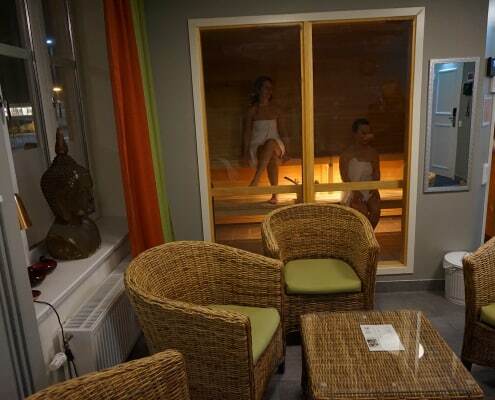 You can enjoy 2½ hours of relaxation under the open sky with the whole of the relax facility/sauna to yourselves. The hot tub is always a pleasant 37 degrees Celsius. It can seat up to 10 people. The SPA facility is in Gula Villan next to the large outdoor pool. We provide fruit and iced water, bathing robes, and towels. If you want to treat yourself to something special, you can book a massage or treatment at Carma Spa Visby, located in Gula Villan. If you tell us in advance what you would like to drink, we can fill the fridge in the relax facility with cold drinks. Why not combine the evening with dinner in the hotel restaurant? We will arrange things to suit your specific wishes. 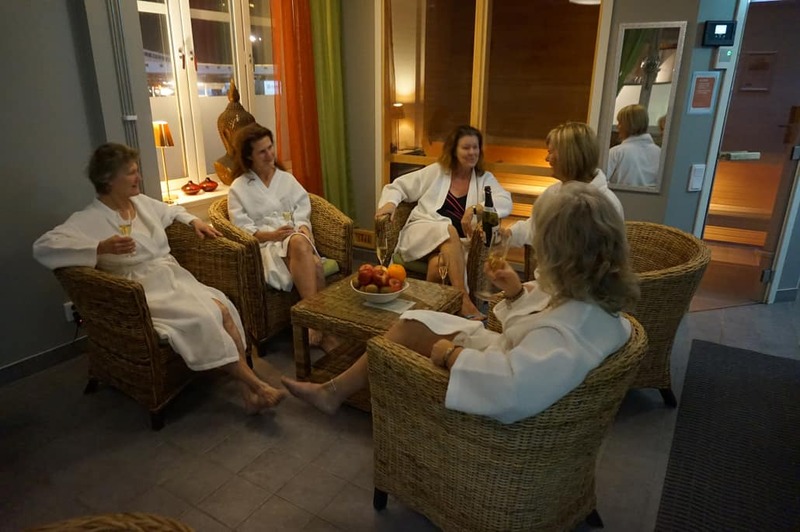 A SPA evening includes SPA bathing in our hot tub under the open sky (maximum 10 people at a time), relax facility with sauna, changing rooms and showers, fruit and iced water, bathing robes, towels, and FACE products (there are shampoo and shower gel in the showers). 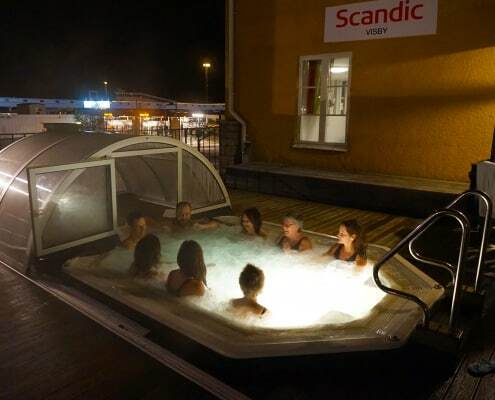 You can book the hot tub from October to April, Monday to Thursday. Call +46 498-201280 or +46 498-201240. 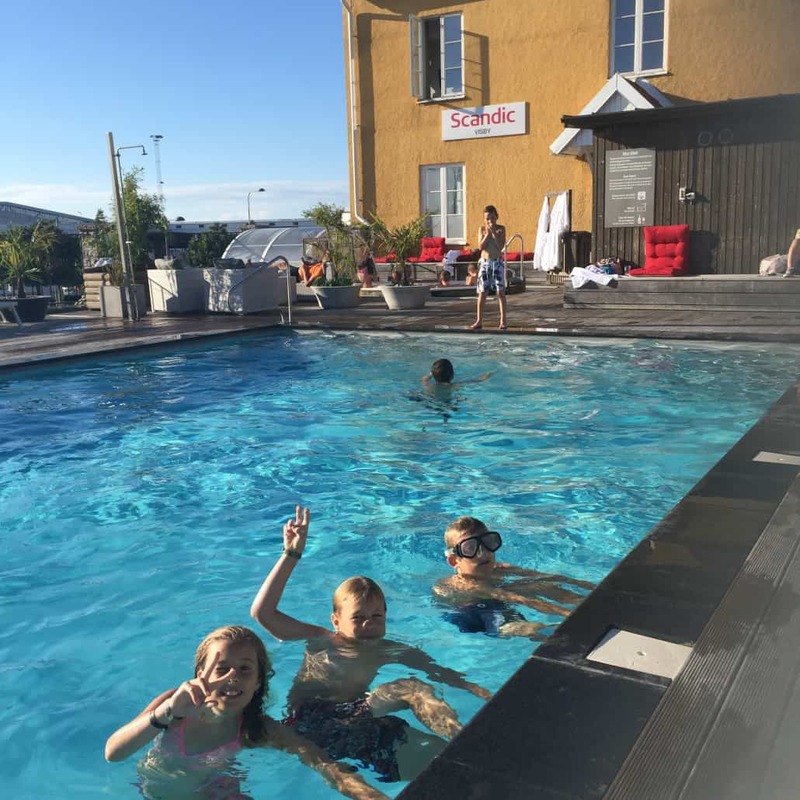 Price for 2½ hours: SEK 190 per person (minimum SEK 1140). 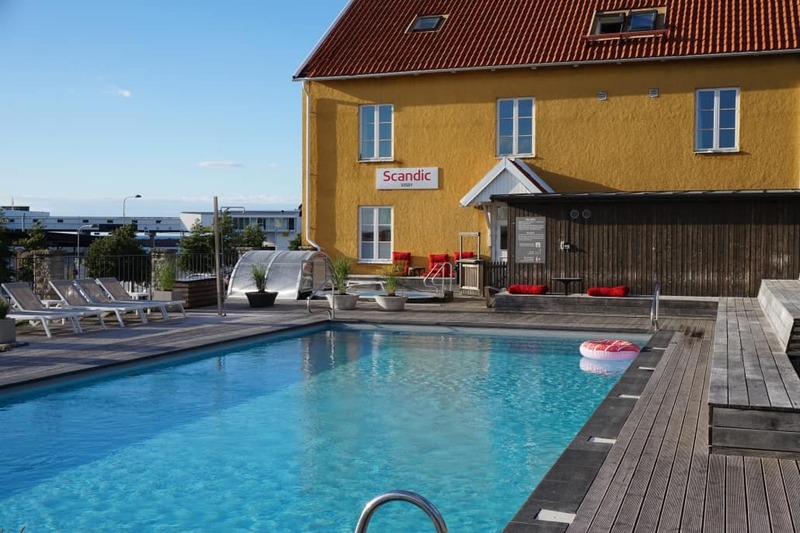 For guests staying at Scandic Visby: SEK 150 per person (minimum SEK 900). You are welcome to book treatments at Carma SPA Visby, located in Gula Villan next to the pool area. Carma SPA offers massage, beauty treatments, and yoga. Lizette Björkegren qualified as a certified skin therapist in 1995. She has done further training in make-up, colour analysis and healthcare (auxiliary nurse). She is also a medical yoga instructor and wellness masseuse. Pay directly to Carma SPA Visby (cash or Swish).